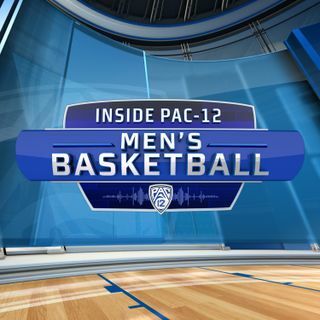 On the sixth episode of Inside Pac-12 Men’s Basketball, Pac-12 Networks’ Mike Yam and Don MacLean break down the key story lines in the Conference of Champions. They discuss how Washington’s first conference loss might help the Huskies in the long run (6:16) and look at Arizona State’s NCAA Tournament chances after their up-and-down weekend (9:30). They also explain why Utah was able to comeback against UCLA and what makes the Utes so effective on offense (15:00), and Don breaks down ... See More Washington State’s impressive road sweep of the Arizona schools (20:58). Mike and Don interview former Arizona forward Sean Elliott, and they talk about the coaching style of former Wildcats head coach Lute Olson. Elliott also talks about Don breaking his Pac-12 scoring record (25:47), and discusses the current state of the Arizona program (42:07). Don evaluates the NBA potential for Washington State’s Robert Franks (47:32), and then on “Story Time with Don MacLean” he recalls a fight between Wes Unseld and Bernard King early in his NBA career (51:54).